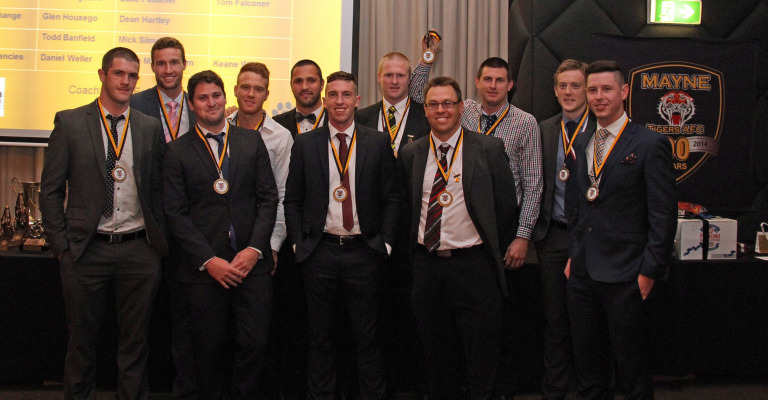 The Mayne Tigers Team of the Decade has been an initiative of the 90th Year celebrations to honour the best players that the club has produced during the period since the turn of the century. The period since 2001 has been another tumultuous period in this proud club’s history where real Tiger spirit and loyalty has been called upon to keep the Black and Gold colours flying. Whilst it has been a period where the club was unable to taste premiership success, it has been a period where it has been proven that there is more to this great club than glory keeping it alive and it has been one of the most important eras in the Tigers long history. In reviewing the wonderful quality and loyalty of these players selected in this team, it is hard to fathom why it has taken so long for premiership success to be achieved but only those that have been a part of the inner circle of the club since 2001 and have toiled so hard for so long can really know the effort that has gone into the rise of the club back to the winner’s podium in 2014. A Team of the “20th”Century has previously been selected and is recorded in the Mayne Tigers History book, From Glory to Heartbreak by author Bob Gower. It is also available on the Mayne Tigers website. The period 2001 – 2013 was kicked off by re-entry into the State League after the club was excluded from competing in 2000. Despite an emphatic win against the Western Magpies in their first game back in the competition under Neil Bourke, the Tigers suffered from a severe shortage of playing talent and ultimately dropped back to Division Two in 2005. With ex Zillmere star Rob Dickfos at the helm the club briefly rallied and managed to secure an 8th place finish on the back of a club record comeback win versus Wilston Grange at Grange. The boys just finished short of a resurgent PBC in the final down the Gold Coast. 2007 marked the beginning of Mitch Ferguson’s 6 year reign as senior coach after suffering a serious back injury which ended his playing career. In this period a number of key players were recruited including Luke Faulkner (who coached the side in 2011) Adam Stevenson, Shaun Daly, Dean Hartley, Matthew Jones and Sam Paterson. This increase in playing depth was complimented by the addition of a number of junior players who will feature in the senior side for years to come, something of which the club has been unable to consistently produce since the early 90s. 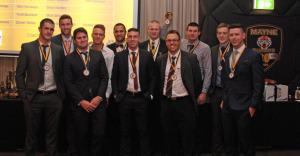 The team of the decade side selected is well balanced with a number of players having State League experience and 8 players that went on to feature in the 2014 premiership. To be eligible for selection in the team of the decade players must have played a minimum of twenty (20) senior games in the 2001 – 2014 era. All Club Champions gained automatic inclusion. In the case of borderline selection priority was given to those players that had played the most number of games in the 2001 – 2014 period. Murdoch Campbell, Richard Fell, Mitch Ferguson, Bob Gower Graham Wallace, Graham Walters. Ever reliable defender with exquisite skills and poise. Mayne Junior product played over 150 senior games and perennial top 5 place getter in the club champion award each year. Excellent choice for kick in duties and can play on talls and smalls. First choice fullback for 5 years and very rarely had his colours lowered in that period. Has an uncanny ability to read the ball in flight and all but impossible to move in one on one marking contests. Also turned in a number of useful games as a pinch hitting forward. Recruited from Cairns. 2001 Club Champion who played through the midfield and as a rebounding defender. Classy in and under the packs with brilliant foot skills and racked up gaining possessions each week. Tenacious left footer recruited from Zillmere exploded onto the scene in 2004 with a 3rd placing in the club champion award as an 18 year old. Developed into a fantastic rebounding defender with the ability to run through the midfield. Exceptional balance over the ball and uncanny sense around stoppages. Started his career in 2003 fresh from the U18 championships and gave supporters a sign of things to come by performing well on Qld legend Dan Dickfos at CHB. Blessed with wonderful speed and evasive skills Caleb worked tirelessly on his game to become one of the premier players in the competition. Two time club champion, captain and State representative. Also spent time as a hard running key forward and topped the goalkicking in 2012 and 2013. Pint sized midfielder with a fiercely competitive nature which saw him often caught up in spot fires during the game. A bullet like kick and natural pace made Troy a massive part of the rebuild of the club. Suffered a horrific injury (broken leg) toward the end of his career which ultimately ended his playing days albeit with 100 senior games to his credit. Prolific ball winner recruited from Albury Tigers who won the club champion award in his first season and then moved onto coach the Tigers to an historic premiership in 2014. The quickest handball in the business Shaun had countless games with more than 40 touches and is the most feared centreman in the competition. Brought with him a “steely” resolve to the midfield group and marshalled the troops magnificently each week. Also a wonderful overhead mark and reliable shot on goal. 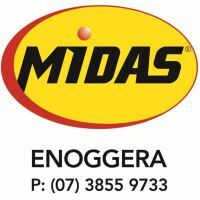 Former schoolboy athletics star that crossed over to AFL in his early twenties in 2006 and quickly gained a reputation as a hard running winger / half forward. Ended up playing over 100 senior games and as a utility played in every single position on the ground including time in the ruck. Voted the hardest tackling player at the club and also added goalkicking as a string to his bow. Ex Tasmanian with a remarkable penetrating kick who knocked up getting possessions each and every week and loved kicking a goal. Joined the club in the twilight of his career but still managed to win the club champion award in 2012 his only year at the Tigers. Club legend who chalked up game number 250 in 2014 his 18th season at the club. In his prime the dominant centre half forward in the competition with a massive tank, leap at the ball and vice like hands. Held the club together in the dark years of the early 2000s and very rarely was beaten in his position. Spent more time at full forward in later years developing a wonderful combination with Johns and Ferguson and even marshalled the defence at times as CHB. A booming shot at goal and perennial winner of the “Biggest hit of the year” award. 11 years as captain. The youngest of the Nolan brothers who played 2 seasons at the club before moving to Melbourne where he played out a magnificent career at Heidelberg FC. Blessed with incredible agility that belied his strong frame Dale was a brilliant mark and wonderful shot on goal. Won the club champion award in 2002 at CHF and also spent time as ruck rover and CHB. Ex Mayne Junior who always has the Tigers close to heart. Ex Mayne Junior whose career at the Tigers was interrupted by the 2000 exclusion from the competition. Captained the club, played with his heart on his sleeve and was a lively rover who took on bigger opponents week in week out. Ex Brisbane Lions star crossed to Mayne in 2001 and turned in some magnificent games in Tigers colours including a 10 goal haul after missing the start of the game in his first year. Blessed with incredible strength in the marking contest, Champs finished equal club champion with his forward line partner Dale Nolan in 2002. A reliable shot on goal and terrific team mate. Ex tennis star who turned his hand to AFL as a 30 year old and finished up with 100 senior games and 183 goals. Johnsy had an incredible turn of foot and an uncanny goal sense, being able to split the goal posts from any angle and was a wonderful exponent of the check side kick. At his best was a dominant force with Housego and a very loyal tiger. 2003 Club Champion ruckman recruited from Cairns and ended up playing in all positions on the ground over his 10 year career. An extraordinarily talented player Luke possessed a wonderful combination of athleticism and footy smarts which provided wonderful entertainment for his team mates and supporters alike. Won goal of the year and mark of the year on many occasions with his high leaping effort in 2012 rated the best mark of the decade. Ex Tasmanian whose recruitment in 2010 ultimately paved the way for success at the Tigers in later years. Perhaps the most talented player to grace the field for Mayne in decades Faulkner won the club champion award in his first 2 years at the club 2010 and 2011. His skill with ball in hand ensured that he spent time in the midfield balanced up by forays forward where he terrorised the defence with his marking ability and goal sense. His natural balance allowed him to utilise both sides of his body with hand and feet. Playing coach in 2011. Dynamic left footer who graduated from the juniors seamlessly into senior ranks. Used his pace to advantage and combined with his raking left foot made him a coach’s dream and effective weapon in breaking the lines. Was all heart out on the field and approaching 100 senior games will leave an indelible mark on the club and team mates. Powerful midfield / half forward with good finishing skills. Mick played the majority of his career under Rob Dickfos transforming himself into a strong ruck rover type with big possession numbers most weeks. Handy forward with great touch at ground level. Runner up in Club Champion. Rugged ruckman / defender who turned in many fine games in the early 2000s. Ran in straight lines and when fit was able to carry the ruck load all day. Spent time at CHB providing a physical presence as well as strength in the air. Runner up in Club Champion. Recruited from Mackay. Joined the club as a dour defender with excellent spoiling skills but by the end of his second year was leading the defence and providing excellent run out of the backline. Significant part of the resurgence of the club on and off the field. Enjoyed the odd foray forward in between specific stopping roles down back. Played seniors as a 17 year old and quickly became a regular first grade player with obvious talent. Hugely effective in contested ball and as a medium sized defender Todd played a variety of roles and carved out a commendable 75 game career at State League level. Finished 3rd in Club Champion. Workman like swingman who graduated from the under 19s and played the majority of his 119 games after 2001. Initially a shut down defender Wellsy blossomed as a hit up forward in 2011 and performed admirably over his career at Mayne. Debuted as a 16 year old and 8 years later has chalked up over 135 games. Recruited as a full forward Corey reinvented himself as a half back flanker / wingman to ensure better opportunities. A wonderful kick on the run Corey had some standout games including winning the inaugural Mick Nolan medal. After suffering a brutal introduction to the coaching ranks winning only 1 game in 2005, Mitch consistently built up the playing depth of the group with astute recruiting to the point where the club had consecutive 6th placed finishes in 2012 and 2013. In the absence of an extended coaching team Mitch relied heavily on developing close relationships with his players and creating a strong culture within the group. Coached over 100 senior games.